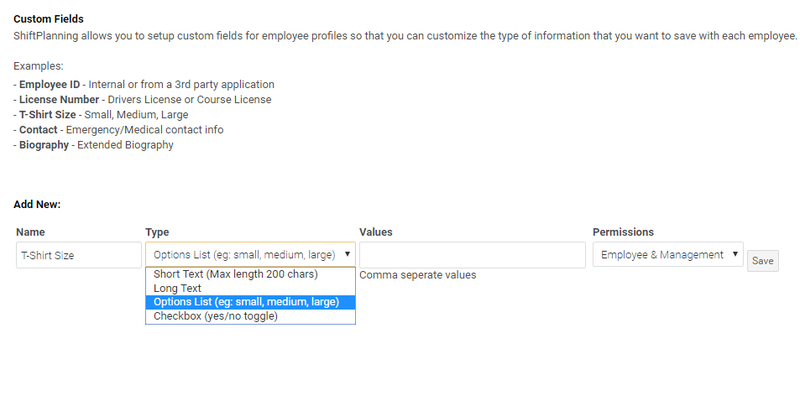 Humanity comes with a basic set of profile fields that can be set for each employee. Such as name, phone number, e-mail, address, etc. You have the ability to expand on this functionality by creating your own custom fields. 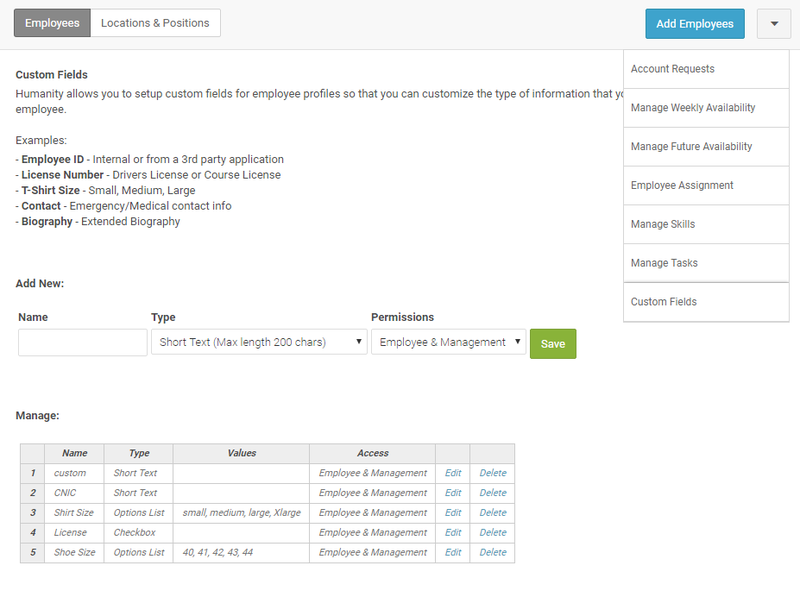 Click the arrow down Icon next to Add Employee button from the top right in order to setup the Custom Fields for staff profiles so that you can customize the type of information that you want to save with each employee. Custom fields can be created in 4 different formats. With 'Options List' format, you are presented with another box, to enter in the list of options that you want to appear. Enter in values separated by a comma e.g. small, medium, large. Before saving a custom field, choose the right permissions. Management Only - Select this when only management is required to update the field. Employee & Management - When anyone can update the field. After adding custom fields, you can later Edit or Delete it. 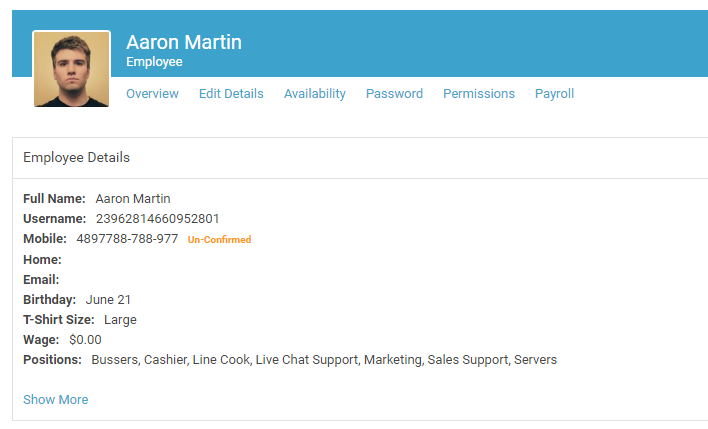 Go to staff member profile > Edit details to update the custom field. Staff profile overview will start showing it.